Boek nu, voordat het te laat is! Heeft u een vraag voor Armandos Wellness Resort? Armandos Wellness Resort, gebouwd in 2013, is een aanwinst voor San Fernando (Pampanga) en een slimme keuze voor reizigers. Vanaf hier kunnen gasten genieten van eenvoudige toegang tot alles wat de levendige stad te bieden heeft. Ook gemakkelijk te bereiken zijn Robinsons Starmills, SM Pampanga, Sky Ranch San Fernando Pampanga. De faciliteiten en diensten, geboden door het Armandos Wellness Resort, garanderen een plezierig verblijf voor gasten. Enkele voorbeelden van faciliteiten die dit hotel biedt zijn wi-fi in openbare ruimtes, parkeerplaats, vervoer van/naar luchthaven, restaurant, wasserij. Alle accommodaties beschikken over doordachte voorzieningen om een ongeëvenaard gevoel van comfort te garanderen. Het hotel biedt vele unieke recreatiemogelijkheden zoals zwembad (buiten), vissen, wellnessfaciliteiten, massage, kinderspeeltuin. 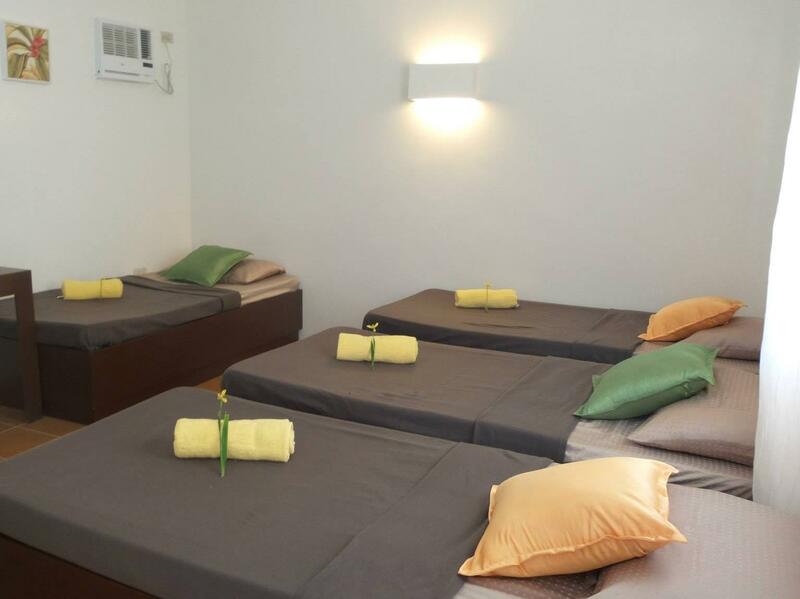 Wat de reden van uw bezoek ook is, het Armandos Wellness Resort is een uitstekende keuze voor uw verblijf in San Fernando (Pampanga). 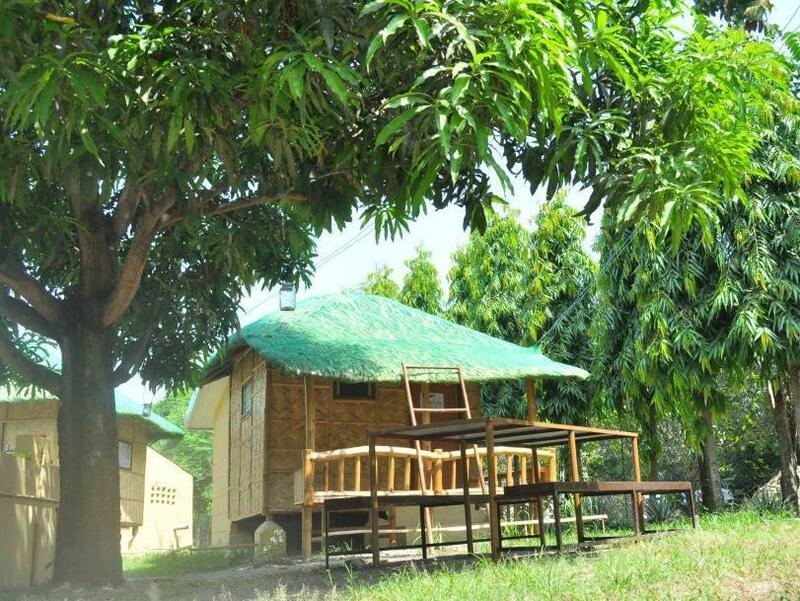 Interesting "camping style" type stay in a nipa hut. Good for one night and could not take anymore as there were too many mosquitoes at night, but a nice quiet retreat outside of the city. It's deep inside Bulaon Barangay. My girlfriend and I were in San Fernando for the Giant Lantern Festival. While the Festival was an awesome experience, our stay at Armandos was not. 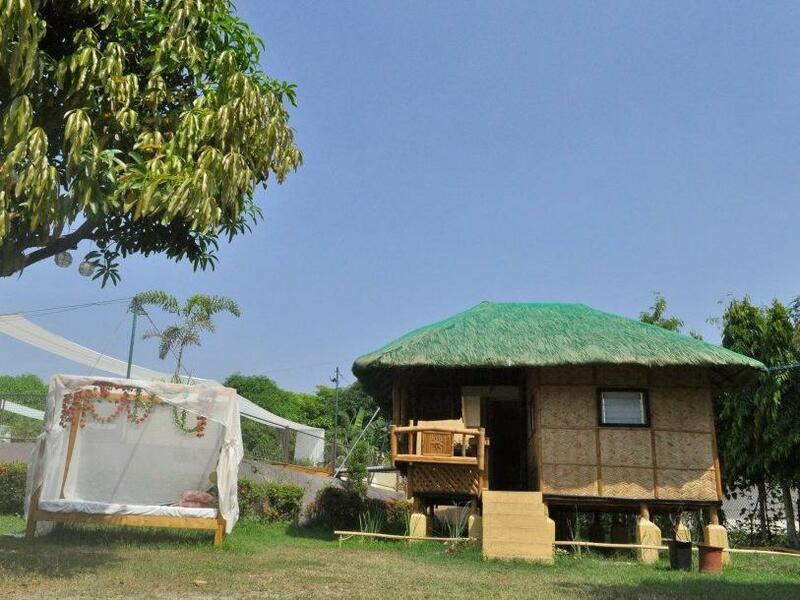 We stayed in the Nipa Hut. The only nice thing I can say about the room is that the bed was decently comfortable. The air conditioner filter was not properly cleaned, so it gave out a funky smell when it was on. The bathroom was so disgusting, I couldn't even bring myself to shower in it. There were trails of ants everywhere, and the potted plants in the bathroom had some kind of larvae swimming around in them. We also saw a giant cockroach at one point. The staff were quite nice, but not enough that I could forget the dismal state of the room. 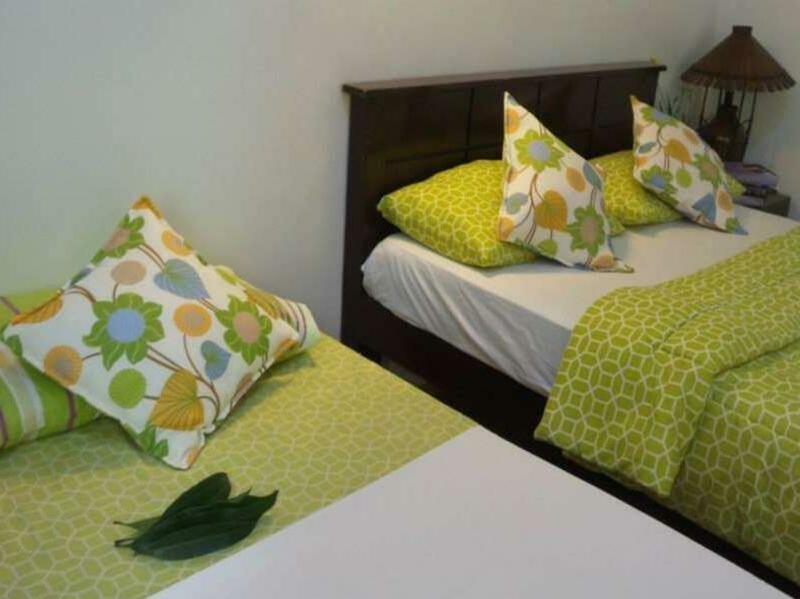 I don't have very high standards for accommodation, but this room was a huge disappointment for the price, and I would not recommend it to anyone unless the place is thoroughly cleaned. 3 reizigers vonden deze beoordeling nuttig. Wat vond u? We are not going there again. This place is not what it seems like. The grounds were not maintained. Rooms are substandard and filled with mosquitoes. Quickly left and stayed elsewhere. 2 reizigers vonden deze beoordeling nuttig. Wat vond u? We had a nice stay. A good place to relax with nice garden, massage and swimmingpool. Very nice and helpfull staff. The room was nice but a little small. Our bags hardly fit in the room. We stayed in the cheapest nippa hut. We liked the fact that most visiters were locals who enjoyed the garden and swimmingpools. Tucked in a Barangay deep somewhere inside San Fernando. Peaceful and quiet. Swimming pool. Would recommend for a night out of the city for a change. We arrived late only to find out that our room had already been rented out. The night staff claimed they never got an email from Agoda. They were gracious enough to move us to an upgraded room though. There were only 9 local channels with no cable TV. The DVD player was not working. And we found out that their pool is actually unchlorinated. The airconditioning was inadequate and I had to remove a dirty filter to let in more air. Staff's are very courteous and friendly. 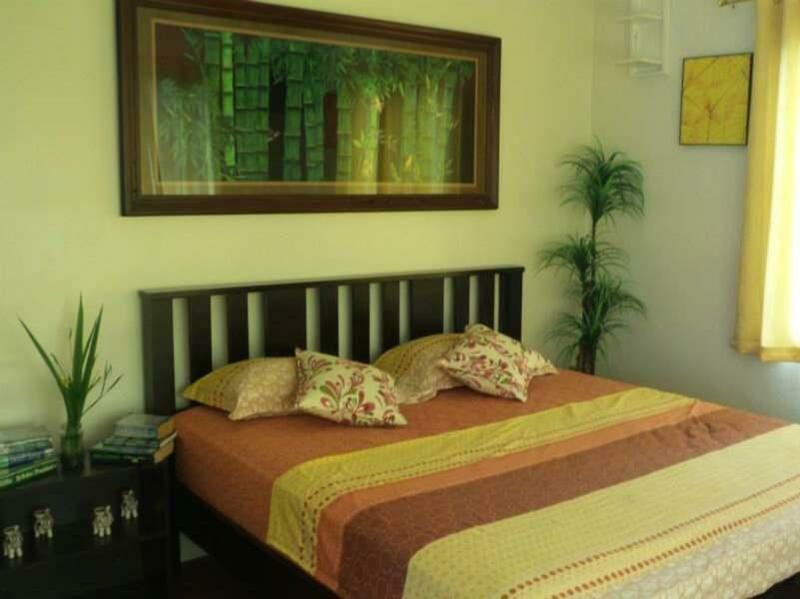 Budget friendly and the Owner is very warm and accommodating. She's open to suggestion and feedback. She ensure that everything is in order especially in the cleanliness. Nice place to relax in touch with nature. You can hear nature talking to you, while you enjoy your stay. I'm planning to go back to this place sometime soon. Keep it up. Went for the crucifixion event on Good Friday. Although overbooked I was given the manager's private room, very comfy, nicely located. A typical inland resort kind of picnic place for big filipino families: swim for the kids and eating barbecue for the adults..Staff very friendly and helpful and went with me to the crucifixion. had a good nite rest and the food was straight forward filipino cuisine. We enjoyed our stay at the resort..the staff are very friendly and the foods are great! ich kann das wellnes resort nur weiterempfehlen. allen die genug von der hektik in manila oder angeles haben. es gibt wohl kein besserer platz um sich zu wohl zu fühlen. einen herzlichen dank allen für die gastfreundschaft. Armandos Wellness Resort liegt zwar etwas außerhalb von Fernando, ist aber dafür sehr schön und gepflegt. Hier wird versucht, ein richtig schönes Wellness-Resort aufzubauen!! Die anlage ist gepflegt und hübsch. Das Personal ist sehr bemüht und das Preis-Leistungsverhältnis stimmt - besonders die Massagen sind absolut empfehlenswert! Apres un passage a Angeles city ou je me suis demande pourquoi j'etais la... 3 jours de calme a la campagne... grande chambre, 9eviter le bungalow numero 3 (proche de la route et d'un terrain vague aux allures de decharge...)... piscine, lieux ombrages, bonne cuisine familiale (avec des salades !!!) Certes eloigne de tout, mais grand mall a 1/4 d'heure en jeepney ou en tricycle.. Bon pour se reposer apres un trip ou le tramsport en bus a consomme pas mal d'heures.